The TSC Winter Shoot Out and Breckenridge have been a favorite of many of our SCSC skiers. 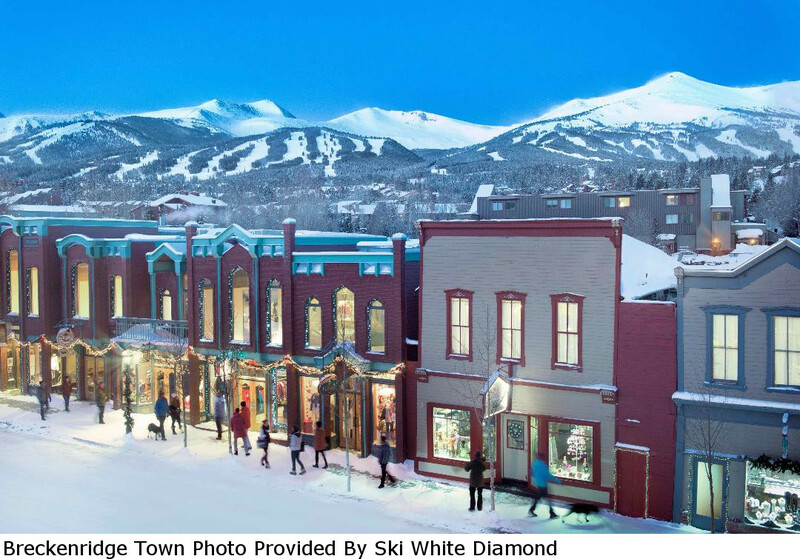 Breckenridge offers not only 5 great ski peaks for all levels of skiers, but also is a great destination for all types of winter activities with many restaurants, retail stores, and galleries for non skiers. We have spaces for 42 total participants with 30 Full packages. We expect to sell out this trip very fast! Please sign up as soon as registration opens on August 13th at 7 PM to secure your spot. TO BE ON THE WAIT LIST. When you register for this trip, all that you are required to do is pay your trip deposit of $150/per person. You have until Final Payment Date to pay your balance. Final payment date for this trip is Oct. 31, 2018. Lift tickets are available by contacting the TC immediately after registering for this trip. Click HERE to see your lift ticket options. If you want a single supplement, please contact the Trip Coordinator immediately after registering for this trip. Single supplements may not be available due to limited number. Contact the Trip Coordinator BEFORE registering if getting a single supplement is crucial to you. Click the next to “Activities/Items” below to see more details about the trip, including lift ticket pricing. The balance after your $150/per person deposit must be paid on or before Final Payment Date.